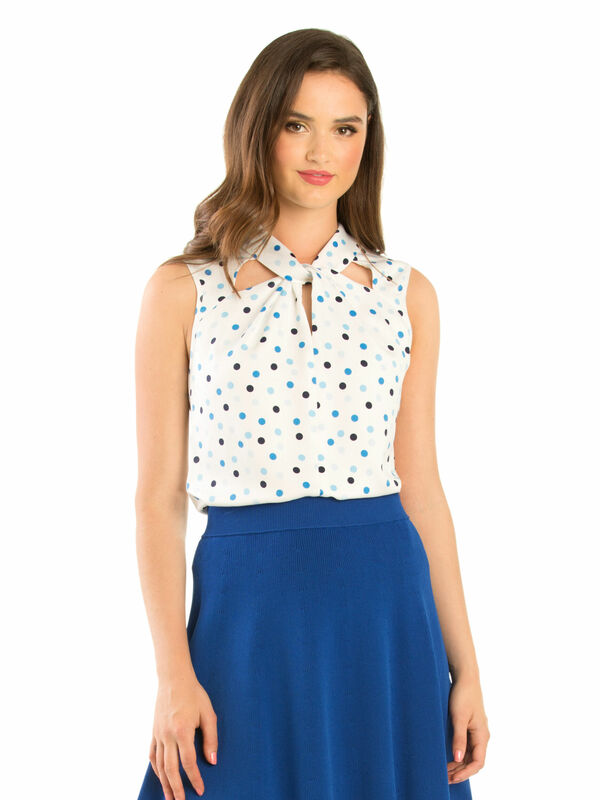 Orion Spot Top https://www.review-australia.com/au/orion-spot-top-cream/RE19TW086.RECRM010.html Polkadots are a print that will last season after season, so make sure you invest in this Orion Spot Top. Designed with a contemporary twist and cut out neckline for a look which is perfect for the modern woman. 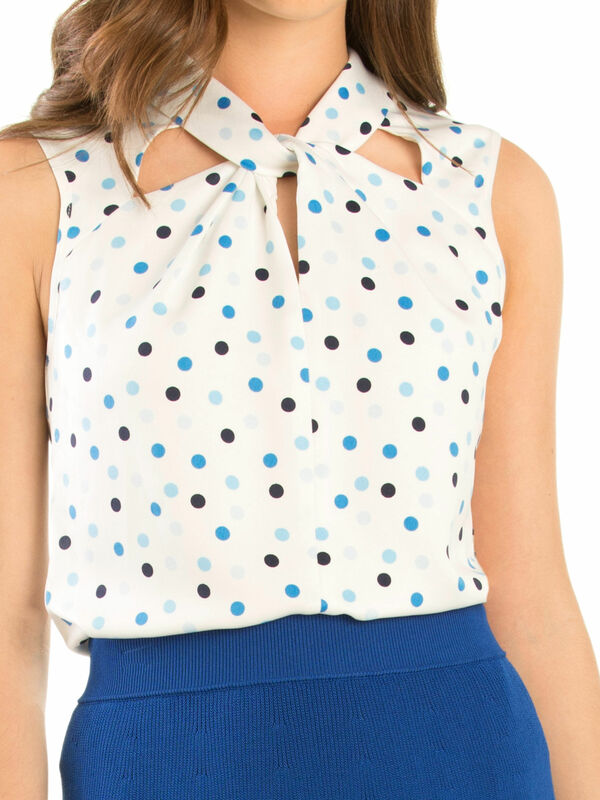 Fitted with a keyhole button at the back and perfect for wearing with a flared A-line skirt for weekday meetings or weekend parties. Worn with Billie Knitted Skirt and Beverly Heels. 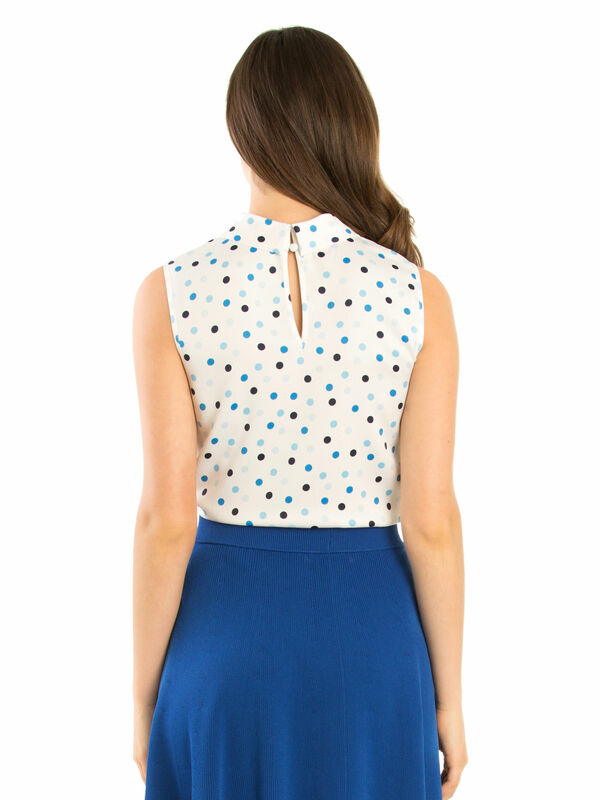 Polkadots are a print that will last season after season, so make sure you invest in this Orion Spot Top. Designed with a contemporary twist and cut out neckline for a look which is perfect for the modern woman. 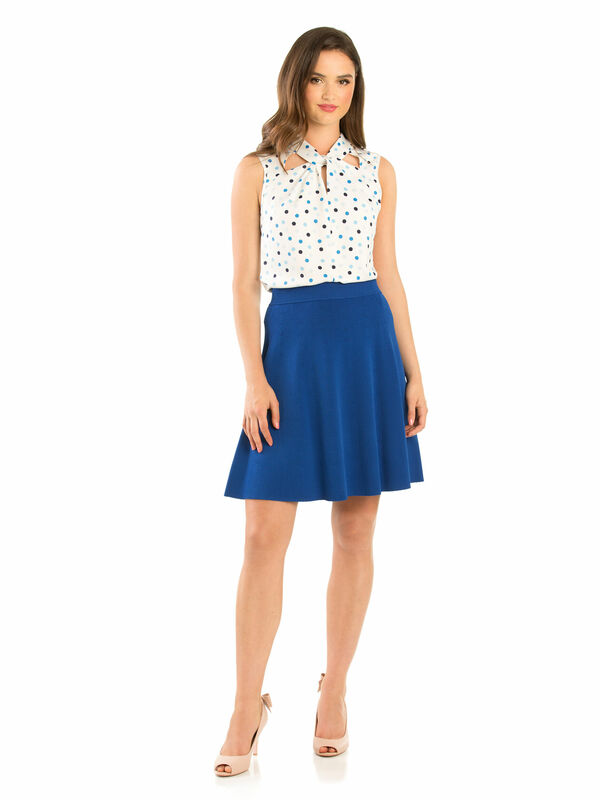 Fitted with a keyhole button at the back and perfect for wearing with a flared A-line skirt for weekday meetings or weekend parties. Orion Spot Top is rated 4.8 out of 5 by 5. Rated 4 out of 5 by Barb22 from Stylish and comfortable Bought this as one of three tops- very happy with the quality and style. Compliments both times I have worn so far- once in corporate setting and once on a social occasion. Thanks Review!! Rated 5 out of 5 by Mariea from Pretty design My husband bought this for me. I really love the design, very pretty and unique. Nice fit too! Rated 5 out of 5 by Carol8 from Absolutely love the design, comfortable I bought this two weeks ago for my daughter And she loved it. Rated 5 out of 5 by Shami from Lovely look Love the fit and the intricate details! Lots of compliments!